Yarn Type SALE 30% OFF! A wonderful cotton drape yarn which shows texture and cables detail. 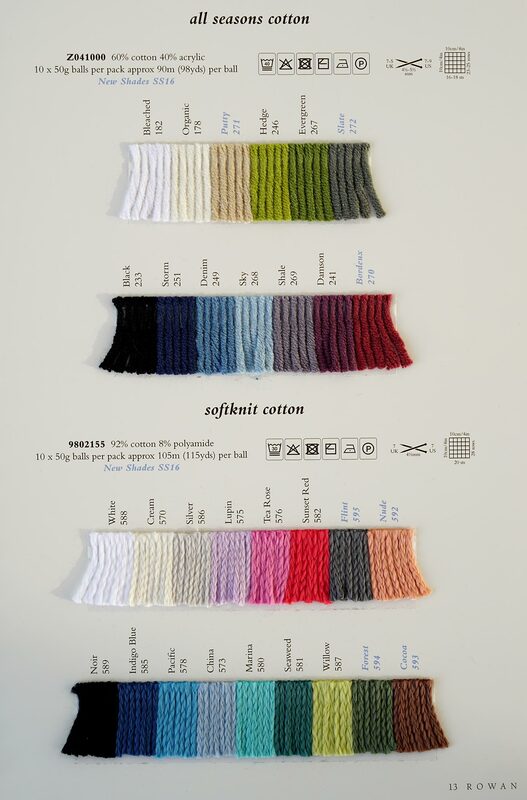 Softknit Cotton is also interchangeable with Handknit Cotton. 92% Cotton/8% Polyamide. A stylish collection of eight women's knits perfect for summer days. Designs range from slouchy and oversized silhouettes to favourite cardigans, boxy jackets and neat, fitted designs all worked in a sumptuous colour palette of Handknit Cotton. These designs can also be knitted up in Softknit Cotton. You can purchase the patterns individually at £3 each, or buy all 8 patterns as an entire collection here for £9. Featuring 9 designs which can all be knitted using either Handknit Cotton or Softknit Cotton, giving you plenty of options for these transeasonal classics. Several of the designs also offer design options making the design your own.